Saturday, May 22, 2-4pm, at Hillsboro Main Library, journey into the world of henna with international artist Wendy Rover of Roving Horse Henna. We’ll cover mixology, application, design motifs and regional styles. 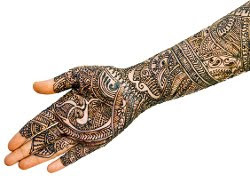 You will learn how to mix your own henna paste and design and apply your own henna designs. Adorn yourself and your friends with beautiful temporary tattoos.